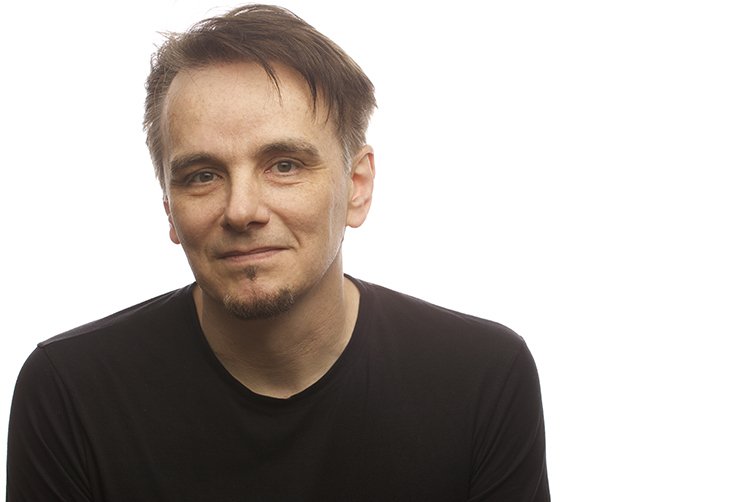 Gavin Harrison is easily one of the very best drummers around. No matter which genre of music you prefer, Gavin's tasteful, creative and at times unbelievable playing will leave you enraptured. 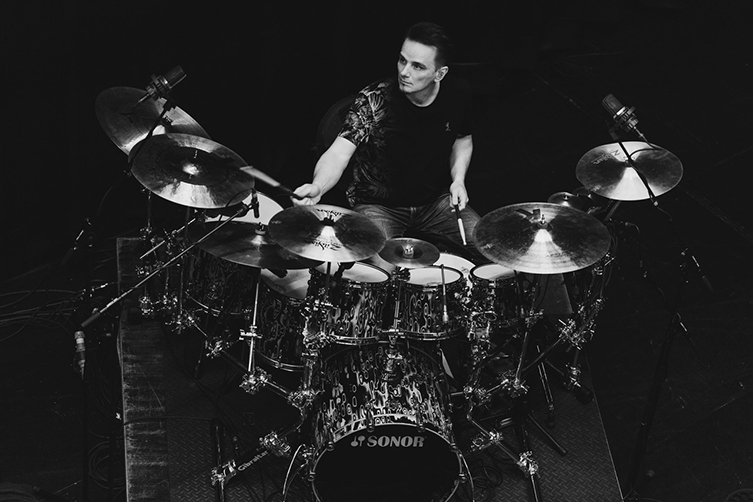 Gavin is perhaps best known for his groundbreaking work with Porcupine Tree (and later with the solo work of Porcupine Tree's leader Steven Wilson), where his tasteful and passionate performances re-wrote the rulebook on modern Rock drumming. Alongside this, Harrison has been an integral part of the current King Crimson line-up, playing in a band with no less than 3 drummers in total! He is also a member of guitarguitar favourites The Pineapple Thief, bringing his distinctive taste and sensibilities to their contemporary progressive Rock Music. As you can see, Gavin's a busy man! 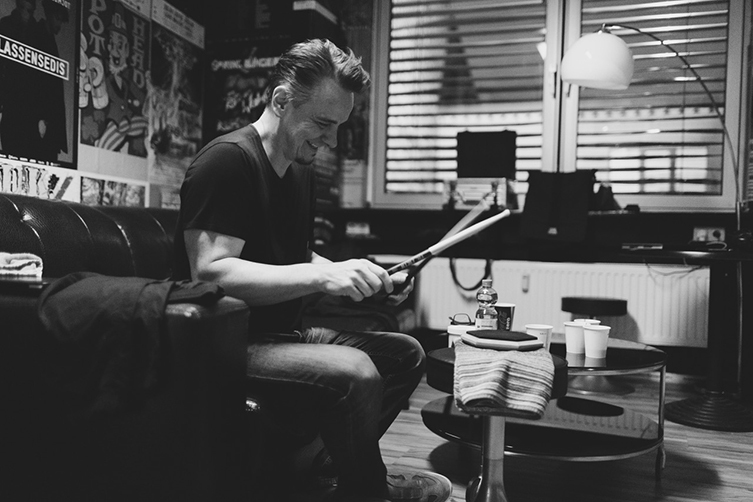 We were most fortunate to be able to monopolise a little of his time to have a brief chat about drums, recording, the evils of genre labels and his open-minded approach to music. Read on to get the low down on a true modern day drumming hero. Gavin, thank you very much for talking to us! There’s so much we’d like to know but let’s start with recent activities. You have had a very busy time on the road last year: how has the King Crimson tour been for you? It was an amazing year with King Crimson - one of the busiest we’ve had and we finished up with 5 weeks in Japan. With King Crimson, you play with two other drummers on stage! Not a standard gig by any means! I had the pleasure of seeing one of these performances and it was magnificent. Could you tell us a little about the process of working as a trio of drummers in a band of 8 or 9 musicians, please? It quite the organic beast. However, a large amount of the 3 drummers jobs has to be scripted otherwise it would be absolute chaos. I have had the chance to arrange some of the pieces and been able to compose some of the ‘drum only’ pieces. I have a studio at home and so I can ‘multi-track’ record myself and see how I can make three drumset parts work. Often I will have a basic demo of the song to work to. An arrangement needs to come from inspiration and determination to try lots of things until you start to find things that you like the way they fit together from a structural point of view. Once written I can send Pat and Jeremy mixes of the song and the individual drum parts for them to consider and learn. Then the three of us get in a rehearsal room on our own and thrash things out. Things get adjusted and manipulated to accommodate the individuals' styles and playing styles. 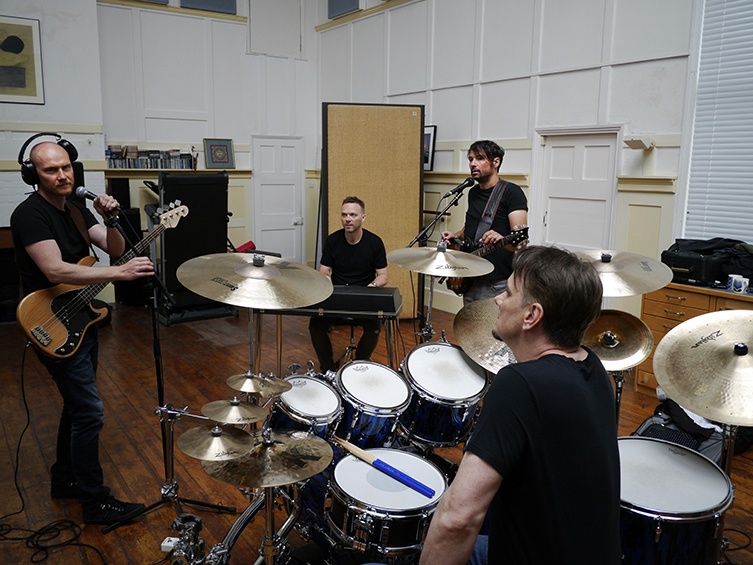 After about a week of that - we get to rehearse with the entire band. Yes, there are lots of moments to do that - but it needs to be decided where we will improvise and what the other players might do at the same time. Despite being an intimidatingly good musician, you must have to practice to keep your chops. How do you do this when you’re on the road? It’s actually very difficult to do when you’re on tour and is a constant source of frustration to me. We can of course play on practise pads whilst backstage in the dressing rooms (and some of that can be useful for working out some independence things and basic ‘muscle warm-ups’) but having any real time on the acoustic drums on the stage - is almost nil. There’s always something happening on the stage - the sound crew testing the PA - the monitor guy making sure everything is working correctly - the tech crew working on the lights and dressing the stage - so the last thing they need is a drummer smashing away at the drums. King Crimson are celebrating their 50th Anniversary this year: can you reveal much about what the band are up to this year? We will be on two massive tours this coming year. The first covering some selected cites in Europe including 3 nights at the Royal Albert Hall and then later on a tour of North and South America. That's some incredible gigs! You’ve been with Crimson for over ten years now: how much freedom do you get to interpret the older material in terms of your performance? I have total freedom to play whatever I want. The approach is “treat every song as if it were new regardless of when it was written”. That must be amazing. How does it feel for you to be performing every night with a band who must have been an influence on you growing up? Well, actually I didn’t listen to King Crimson when I was growing up. I was aware of them of course but my early years were more focused on jazz and funk music. When Robert Fripp invited me to join the band I told him that I don’t have the records and didn’t really know their music. He said something along the lines of: “That’s great - you’ll come at it fresh ears and attitude". That sounds like the kind of insightful intellect he's famous for. Talking of you not having the records, what bands and drummers DID you love growing up? I liked Earth Wind and Fire, Miles Davis, Art Farmer, Jim Hall, Quincy Jones, Ian Dury and the Blockheads, The Police, Pat Williams, Steely Dan, Japan, Peter Gabriel, Joni Mitchell, Stevie Wonder, Allan Holdsworth, Bill Withers, Johnny ‘Guitar’ Watson, Kate Bush, Paul Simon, The Blue Nile, Chet Baker, Chick Corea, Frank Zappa and all the drummers that played with those artists. Most fans of your playing first heard about you with Porcupine Tree. Before that you were an in-demand session player for people like Iggy Pop and Level 42. How did you come to meet (Porcupine Tree leader) Steven Wilson? I had worked with Richard Barbieri (PT keyboard player-Ray) quite a few years before Porcupine Tree - and when their drummer (Chris Maitland) left the band in 2002 Richard suggested that I should come and record with them for the album ‘In Absentia’. The session went very well and consequently, they asked me to join the band. I’d been working for a few decades as a session musician and I thought it would be interesting to try what it was like being a band member. In Absentia is such a great record. With Porcupine Tree, did you play a part in the songwriting or arranging? For the odd time signatures, where and how does that start in terms of writing? Yes on some pieces. Regarding ‘odd time signatures’ - I was always interested in more complex rhythmical structures - but I also wanted to make them sound musical and accessible to the listener - and not just ‘clever’ for the sake of it. A song like “The Start Of Something Beautiful” from the album “Deadwing” started as a rhythm idea that I showed to Steven one day when he was at my studio. It was basically a rhythm in 9/8 with a slow-moving bass line that then progressed to a more energetic 5/8 for the chorus - but we were both keen to not try to make it sound complicated. That's the fine line, isn't it? Presenting complex ideas in a digestible way. I saw on a video that you often record your drums separately from the band in a home studio. Is this still how you work? Is this preferable to you? This is how 95% of all records are made these days - and have been for quite some time. All the Porcupine Tree albums we recorded separately. Is it preferable? Well it might be more fun to all record together as things can happen unexpectedly by the spontaneous interaction - and I have recorded like that many years ago - but usually, most records are governed these days by budget - so recording at home is now the normal (and least expensive) way to make records. I do like having the freedom of time to dedicate as long as I want to work on a song and no pressure of course - that usually makes for the most creative environment under the circumstances. You are pretty much known these days as the foremost defining drummer of modern Prog music. How does that make you feel? Are you ok with the ‘Prog’ term? Not really. I don’t care about genre terms. There’s only ‘good music’ and ‘bad music’ in my opinion. I just tried to steer myself towards the good stuff and tried to avoid the bad stuff. A ‘genre’ is a great excuse for someone to completely ignore your life’s work. Well said! Other bands have since appeared, citing Porcupine Tree as an influence, not least The Pineapple Thief. How did you hook up with those guys? Bruce Soord from The Pineapple Thief asked me if I would play on their album “Your Wilderness”. I listened to the demos and really connected with them - so it was an easy decision really. After the record was released Bruce asked me if I would be willing to do a short tour with them - and I thought "why not”? The tour went really well and the guys in the band were nice to be with. You are now a full member of The Pineapple Thief, is that right? How do fit it all in? You must never be home! Yes, I got more involved in the following album “Dissolution” and then joined the band. Currently, we fit in touring and recording around the King Crimson schedule. I’m away a lot more than I want to be - but that’s the state of the music industry at the moment. You do need to play live - being a ‘recording project’ will not suffice anymore. You often blend electronic drum sounds in with acoustic sounds. Is this a necessity or a natural extension of the instrument? How do you prefer to incorporate technology? In King Crimson I use a couple of Nord Drum instruments. Nord Drum2 and Nord Drum 3P. As they are essentially synthesisers - they are much more organic to play than something that is more ‘sample based’. The way the synth reacts to dynamic changes is a bit more inspiring to me. During a drum solo (that I play most nights in a King Crimson song called 21st Century Schizoid Man) I quite often play the Nord Pads along with the acoustic drums. Sometimes they have tuned melodic notes - that I have pre-programmed to work with the key of the song - and other times they make interesting percussive noises. Interesting! A question from one of our staff members is: how many sticks do you go through per gig? I’m lucky enough to have a signature model drum stick with the Vic Firth company - it’s absolutely perfect for me. Breaking the sticks? Well, it depends how hard I’m playing. With King Crimson I might break a couple of sticks a night - and with Porcupine Tree or The Pineapple Thief it might be more - but it depends on a lot of factors. I don’t always start the night with a brand new unused pair of sticks - I just keep using them until they split or fracture. Some sticks might last a few nights. So, you have a busy year with Pineapple Thief tours happening soon and also King Crimson Anniversary tours throughout the year. It seems like the entire year is spoken for, but do you have any other plans for 2019? Maybe take a holiday? No plans for a holiday. Fair enough! And what advice do you have for drummers out there looking to play more adventurously and make a career from it? Borrow a few million pounds - and just keep working until the money runs out! Haha, okay Gavin, good advice! Thank you very much for speaking to us and best of luck with all of your activities this year. There you have it! Find a rich benefactor and get playing! Gavin is truly one of the best there is and is more than worth seeking out this year, whether it is with The Pineapple Thief or King Crimson. Check out his upcoming shows with The Pineapple Thief here and with King Crimson here. We'd like to thank Gavin for participating in this interview and sharing his insights. We'd also like to thank Simon Glacken for putting us together with Gavin.